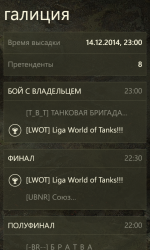 World of Tanks Assistant – version 1.8 for Windows Phone! 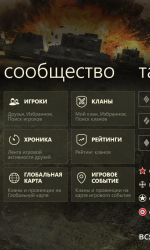 Home > Edd news > World of Tanks Assistant – version 1.8 for Windows Phone! Time clan wars on Windows Phone! With the release of the new World of Tanks Assistant v1.8 in the application appeared detailed information on the global map and the map current game event. There is a – Walk of Fame , a complete list of clans and provinces, as well as detailed information about them: from the owner to the neighboring provinces and primetime. choose province to capture ? 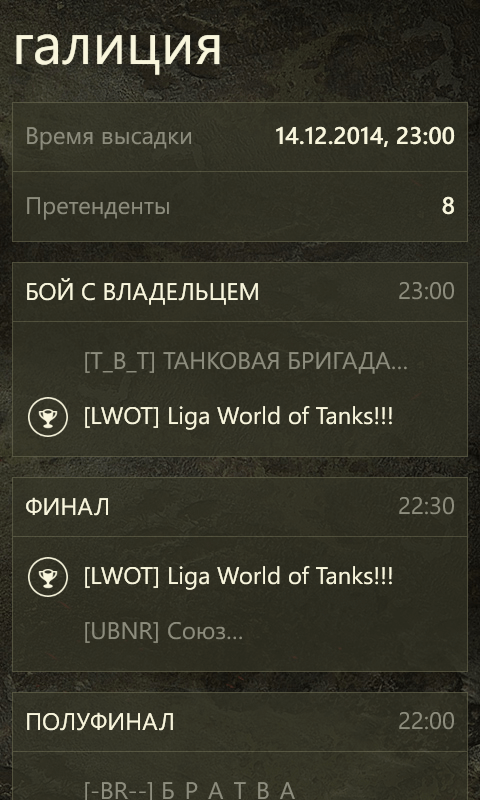 World of Tanks Assistant – an indispensable tool in this case. Search provinces are incredibly simple and easy. At your disposal – filter by region and type of provinces, various sorting and search by name. 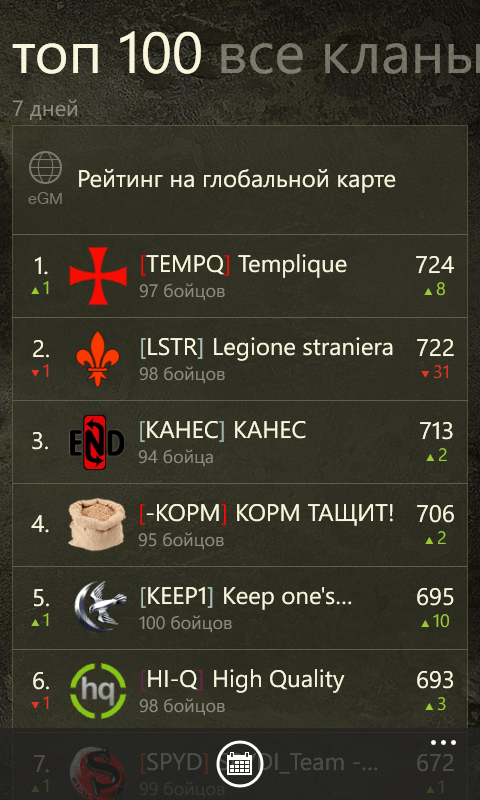 read fluently with the best clans on various parameters. 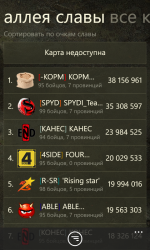 central position in any clan all available ratings. 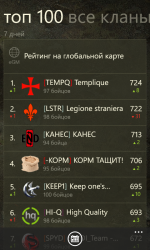 Study lists of the top 100 clans for different types of ratings. 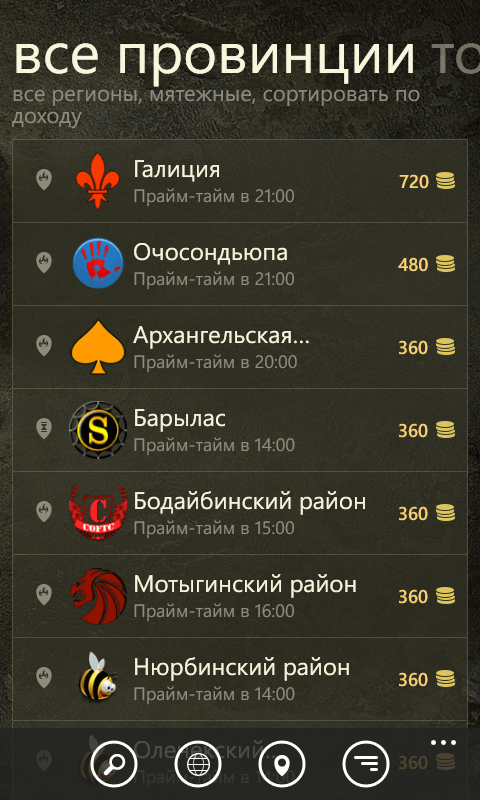 Do you want to participate in landing tournament ? Simply select the start or rebellious province of the desired region, and sort them by profitability to compete for the best tidbit card. 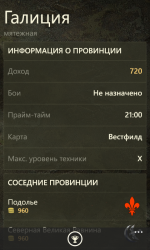 If you already own province – open it in World of Tanks Assistant, to plan expansion. Short list of neighboring provinces, with their yield will help you make the right choice. 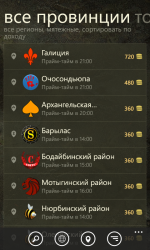 You can also view a list of all clans – the participants in the war on the Global map or a map of the current events of the game. 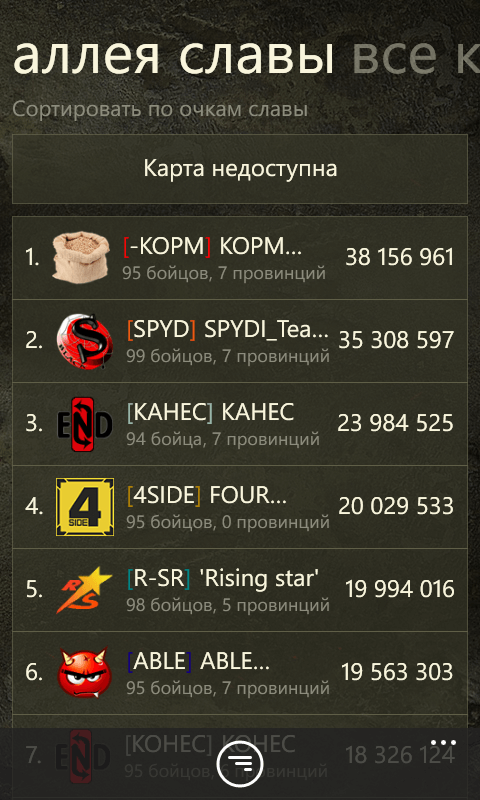 Swing WoT Assistant and develop clan! Time clan wars! Global map and a map of the gaming events right at your fingertips. Everything from the Walk of Fame to detailed information about the province! Additional graphics on Exhibit player, as well as detailed statistics on the tank. Ability to add quotes to your favorites. Your comments and suggestions help developers to continually improve the program. Share your opinion about the application can be Offline . 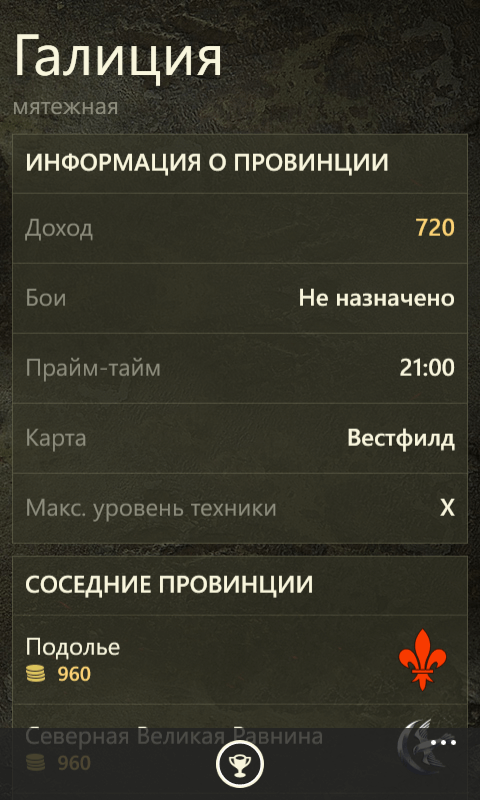 Опубликовал Poruchik Maaly Comments Off on World of Tanks Assistant – version 1.8 for Windows Phone!